best appetizer ever: crabmeat over boursin | Is there any wine left? I speak in absolutes. On a regular basis, I say things like “I am dying of heat exhaustion” (when I start feeling sweat on my brow) and “I am literally pulling into the parking lot” (when I am leaving my driveway). So I am sure I sound like the girl that cried wolf when I say this is “the best” appetizer ever. And really, how could it not be when its main components are butter, cream cheese and crabmeat? You have to use fresh jumbo lump crabmeat, which can be kinda pricey, so this isn’t an everyday dish. But for special occasions, there’s really nothing better in my mind. Start by making the Boursin cheese mixture. Combine the cream cheese and butter in the bowl of a food processor. With the machine running, add the Greek seasoning, dried parsley, dried oregano, dried basil, dried dill, dried thyme, and black pepper, and process until smoothly blended. Check and season to taste. I normally always use fresh herbs but this is one instance in which dried herbs are better. They have a stronger flavor and won’t get mushy, soggy, or gross in the cream cheese mixture. Spread the Boursin on a platter about 1/4″-1/2″ thick. Put all of the crabmeat in a fine mesh strainer and rinse under cold water. Carefully pick through the crabmeat for shells. 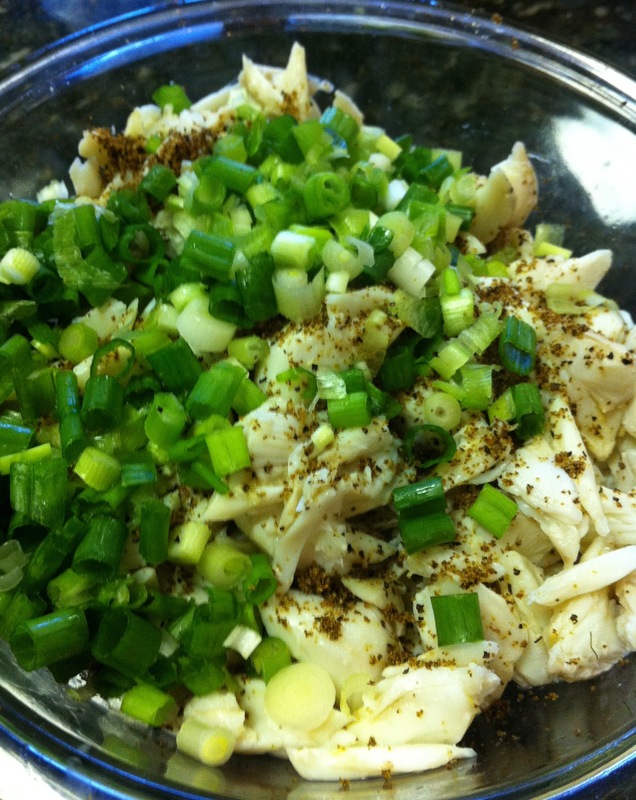 In a medium bowl, combine the cleaned crabmeat, lemon pepper seasoning, and diced green onions. Fold carefully so that you don’t break up the lump crabmeat. 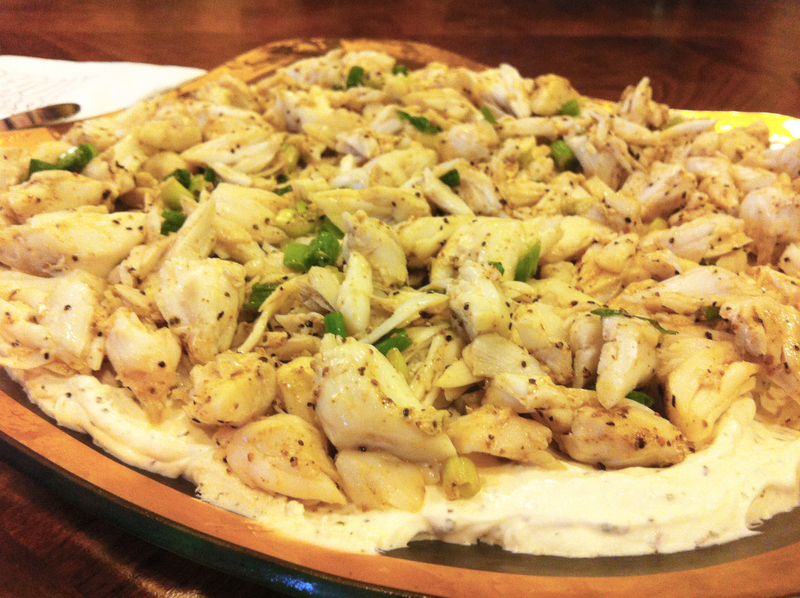 Spread the seasoned crabmeat in an even layer over the Boursin. Sprinkle a few more green onions over the top of the crabmeat. You can cover the dish and refrigerate for up to 8 hours before serving. Pull it out of the refrigerator 30 minutes before serving so the Boursin softens. Serve with water crackers and be prepared for many ‘oohs’ and ‘ahhs’ from your guests. Combine the cream cheese and butter in the bowl of a food processor. With the machine running, add the seasonings, and process until smoothly blended. Check and season to taste. Season the crabmeat to taste with lemon pepper and finely chopped green onions. Let sit in refrigerator an hour or so before putting on top of the Boursin for the flavors to meld. 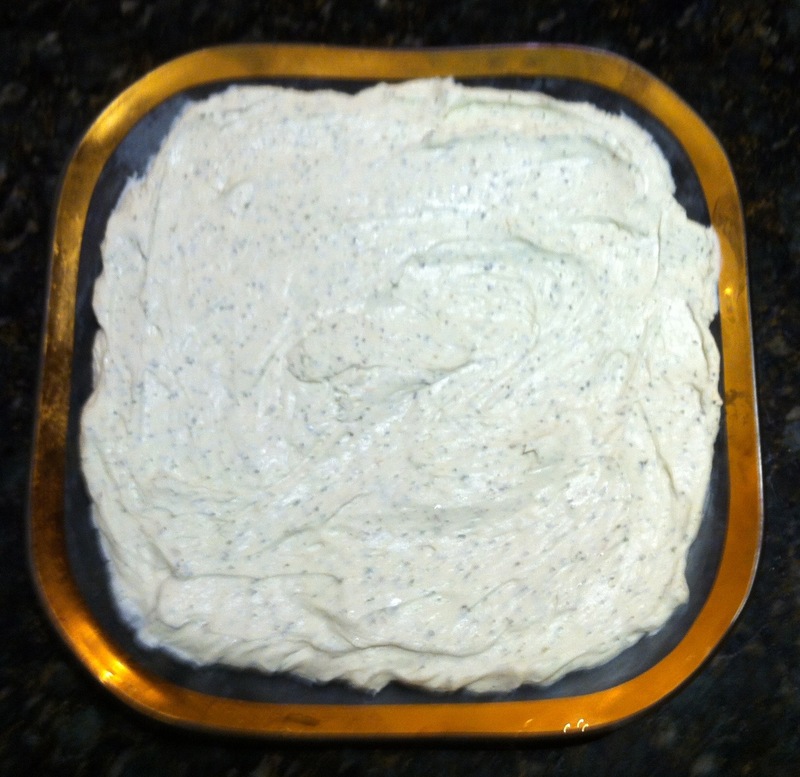 Spread Boursin on platter about 3/4″ thick. Gently pour and arrange the seasoned crabmeat over the Boursin. Garnish with curled green onions and lemon halves. Serve with melba rounds. Katie, I love this and make it around the holidays! I like to use fresh chives instead of the green onions and then serve it with brioche toast points….just a bit more butter! This looks so delicious! I love all the herbs! Um… yum. I think I need one. my grandma would be so proud! | Is there any wine left?